Will you make it out of Alfheim and back to the real world? 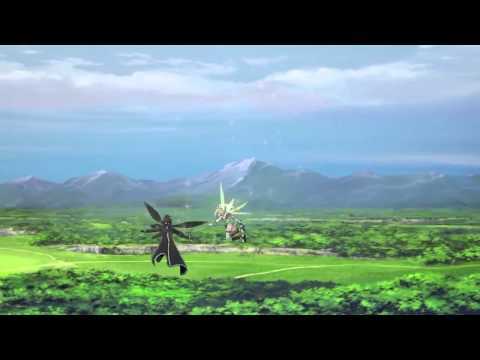 Explore the new virtual hub of Alfheim Online in Sword Art Online - Lost Song. Publisher: NAMCO BANDAI Entertainment Europe S.A.S. Return to the universe of Sword Art Online and rediscover Reki Kawahara’s fantastic vision of an entertainment-driven future wherein video games have become a way of life. Go beyond Kirito’s initial adventure as you travel to the virtual reality hub world of Alfheim Online to take on a brand new quest. A fresh cast of characters joined by some familiar faces guide your way as you explore new environments, new personal struggles and brand new battle systems. Take to the air and lock swords with a 360 degree aerial combat system inspired by the anime series’ most epic showdowns. Partner with up to two other characters for strategically planned take downs. Customize your characters with a range of new weapons and adapt your battle strategy to your playstyle. Players who already own Sword Art Online Re: Hollow Fragment will be entitled to a special discount on Sword Art Online: Lost Song when pre-ordering via PlayStation Store. Team up with those you trust and tackle Alfheim Online together when you join PlayStation Plus.